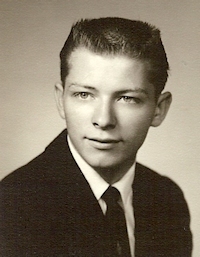 Obituary – Wise, Gary Wayne « Perry High School Alumni Association, Inc.
﻿Funeral services for Gary Wayne Wise, 57, of Perry, will be 10:00 a.m. Saturday, August 3, 2002 in the Brown-Dugger Funeral Home, Perry. Elder Jerry Dale, of the Community of Christ Church in Stillwater, and Joe E. Puckett will officiate. Interment will follow in Grace Hill Cemetery, Perry. Arrangements are under the direction of Hills-Ely Funeral Home, Medford. Gary was born July 3, 1945 in Seminole, the fourth of five children born to Lee Jacob Wise and Willie Mae Todd Wise. He passed from this life Thursday afternoon, August 1, 2002 in the OU Medical Center, Oklahoma City, after a brief battle with cancer. The family moved to Perry in 1951 and he attended Perry schools. On June 6, 1964, he married Janice Elaine Mack of Covington. They lived in Ponca City, Stillwater and moved to Perry in 1972. The couple opened the first convenience store in Perry, “The Wise Stop” in 1972. 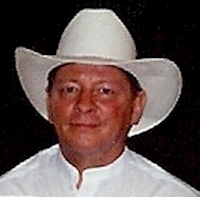 Gary moved to Oklahoma City in 1983, then moved back to Perry in 1994. He had been employed for Sunmart convenience store, Perry Auto Repair and Perry Wrecker Service. He was a member of the Community of Christ Church in Stillwater and the Perry Golf and Country Club. He lovingly looked after his mother after his father died in 1998. He enjoyed playing golf and bowling with his friends. Gary is survived by his son and daughter-in-law, Chad and Tracy Wise, and two grandsons, Austin and Kyle, of Moore; his mother, Willie Wise, of Perry; one brother, Wesley Wise and partner Steave Harlon of Oklahoma City; two sisters and brothers-in-law, Patricia and Joe Puckett of Tulsa, and Naveda and Harvey Ely of Medford; one sister-in-law, Sharon Wise of Perry; two uncles and aunts Coy and Joann Wise of Oilton and Gene and Geneva Wise of Oklahoma City; three nephews and three nieces, cousins, other relatives and many friends. He was preceded in death by his father and brother, Charles. Memorials may be made to Oklahoma Medical Research Foundation, Cancer Division, or the charity of your choice, with the funeral homes serving as custodian of the funds.